Limeroad; one of India’s largest online shopping destination has launched an exclusive campaign #ShopByCity to bring exclusive sarees from the Heart of India to promote Indian artisans, weavers and vendors. Inspired by Mr. Modi’s ‘Make in India’ programme, Limeroad’s initiative is a wonderful extension in promoting home products in the textile industry which is one of the most widely engaging Indian manufacturing industry to the entire online shopping community. Through the #ShopByCity campaign, Limeroad strives to bring together the gems of the Indian city and the online consumer, giving both the stakeholders a platform to showcase and/or own beautifully handcrafted products at the best prices and quality. Some of the most intricate and traditional woven handcrafts from Banaras, Kolkata and Lucknow are just a click away. Discover the joy in Kolkata through the pure decadence with a bit of edge which shines by the day and dazzles by the night to infuse beautiful handcrafted dhakai jamdanis. Vintage Conversations in Lucknowni exquisite chikankari that is perfect to be passed down from generation to generation allowing the old world charm weaves into the vibrant bazaars. Looms of Life brings in the brilliant skillfully woven brocades, traditional weaves and the fine silks with elaborate jacquard motifs from the oldest city in the world, all caught up in a romantic time wrap. What does a new bride need? A memorable gift for a bride that is an appropriate heirloom, an expression of a new lifestyle, a Banarasi Saree combines the elements of craftsmanship, grace and dignity. 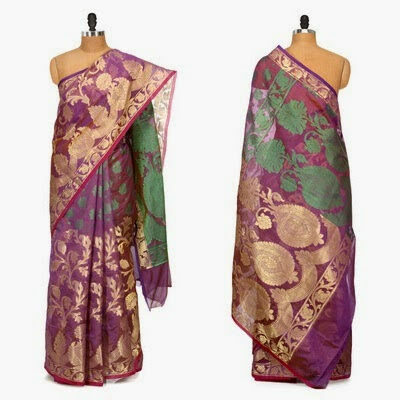 Designed with an array of traditional motifs and detailed borders, a Banarasi saree sheds light on the history of the region and its rich heritage. 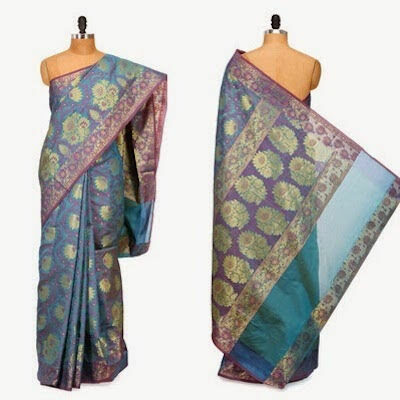 A Banarasi saree is a symbol of great taste in culture and reflects a social standing which adds dimension to the wardrobe with a variety of colours and patterns. Banarasi’s are infused with gorgeous finely crafted gold and silver brocades designs into silk yarns to reflect ancient Mughal influence. Some of the most widely used motifs are floral and foliate motifs (Kalga and Bel) along with a string of leaves (Jhallar) and motifs replicating scenes from villages, temples and mosques. 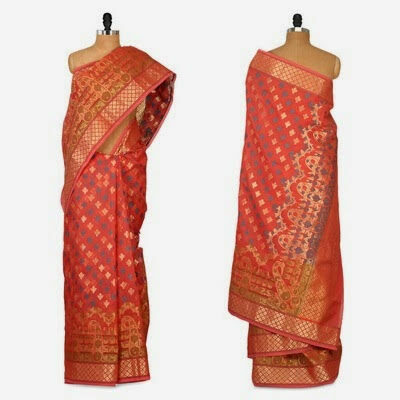 Banarasi sarees are available in a variety of options including silk, organza and georgette with zari tanchoi and tissue brocades. My personal favourite is the Jamavar saree, with its intricate work that runs all over the saree. Limeroad’s initiative has enabled to revive a dying art that is painstakingly complex yet indisputably loved by both the young and the old. With the art dwindling away slowly, Limeroad’s #ShopByCity is a ray of light for the dying art. So don’t think twice, make the most of this initiative and support our craftsmen and ensure this dying art is sustained for generations to come. Click here to see the exclusive range that shall not be found anywhere else.